I don't know about you, but I enjoy seeing the work space of people who work from home - especially fellow crafters. 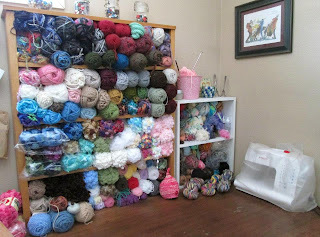 I'm always curious to see where people knit/crochet/sew and where they keep their supplies. In case you are anything like me, here is a picture of my desk.